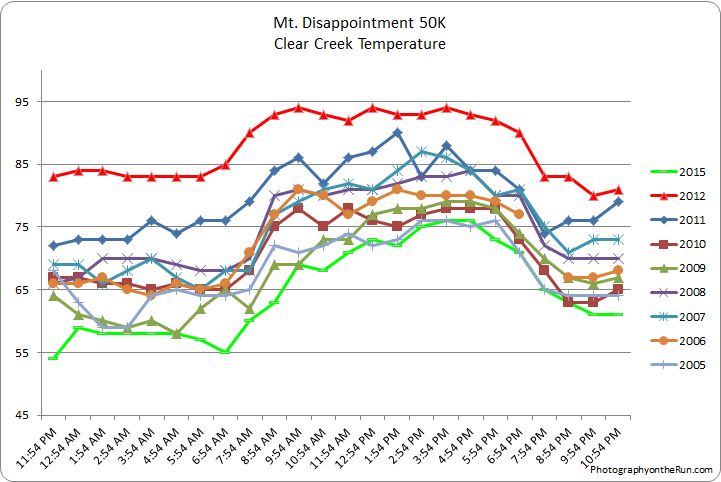 Photography on the Run: The temperature at Clear Creek for the Mt. Disappointment 50Ks from 2005-2015. Note that the temperature is measured inside a ventilated, white instrument housing several feet off the ground. The temperature at Clear Creek for the Mt. Disappointment 50Ks from 2005-2015. Note that the temperature is measured inside a ventilated, white instrument housing several feet off the ground.